In NXT-G, there was a "Legacy" Block pack which had blocks to allow for the use of RCX motors/sensors with the NXT, as long as you had a converter cable. However, the EV3 software does not have this, and it currently does not appear to have support for converter cables due to the lack of special programming blocks you can download. What I basically need to do is connect two touch sensors to the same port, so that the EV3 brick would get input if either one is pressed. I have a pair each of RCX, NXT and EV3 touch sensors. I also have three of the NXT-RCX converter wires. Unfortunately, none of the sensors are working with the converter cables, and I cannot use this or this method because I'm preparing for a competition which doesn't allow modification of lego parts. I came across this thread from the lego site from 2013 regarding this issue, but it offers no solution. I've even tried using the raw sensor blocks with the touch sensors, but they don't give me any output. I am also only allowed to use the EV3-G programming interface. Does anyone know how I can use these split cables with the EV3 brick? 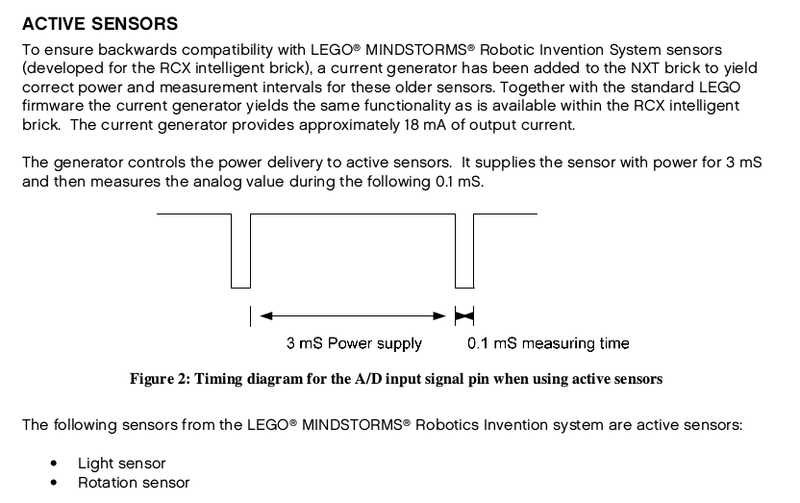 Unfortunately, you cannot use the LEGO 8528 (NXT to RCX adapter) cable with sensors on the EV3. You can use it with motors though. This is because the adapter cable only connects to pins 1 and 2 on the MINDSTORMS (RJ12) connector. 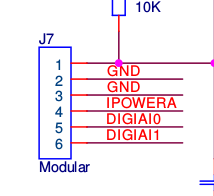 On the NXT input (sensor) ports, pin 2 is GND. On the EV3, however, pin 2 on the input port is no longer GND. It is used to tell the difference between NXT sensors and EV3 sensors. Without a proper ground (GND), the sensors will not work correctly. This is why the videos for modifying the cables use pin 3, which is GND on the EV3. So, don't expect the RCX Light sensor or the RCX Rotation sensor to work with the EV3 even if you make your own cable because it lacks this feature. As a side note, RXC motors will work with the LEGO 8528 cable and the EV3 because pins 1 and 2 on the output ports are for motor + and -. They work exactly the same as Power Functions motors as described here. Not the answer you're looking for? Browse other questions tagged ev3 rcx ev3-g sensor or ask your own question. How to use Power Functions with Mindstorms EV3? Is Technic compatible with Mindstorms? What are the electrical properties of electric LEGO systems? Can I use RCX sensors and motors with the NXT brick? Compatibility EV3 software with NXT brick - known limits? What is a normal range of reading of the Light Sensor using EV3 Raw Sensor block? Is the NXT forward compatible with EV3 sensors and motors? Are NXT Light sensors compatible with EV3?